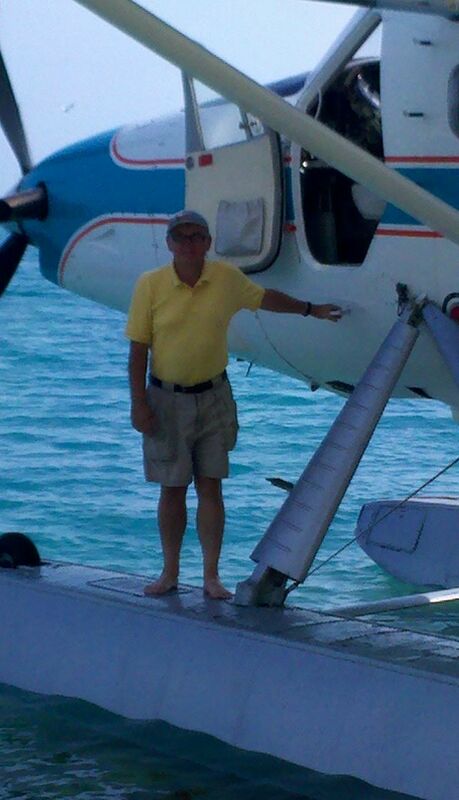 For our final fling in Key West, John and I took a seaplane out to the Dry Tortugas, about 70 miles from Key West, to snorkel and tour Fort Jefferson National Park. 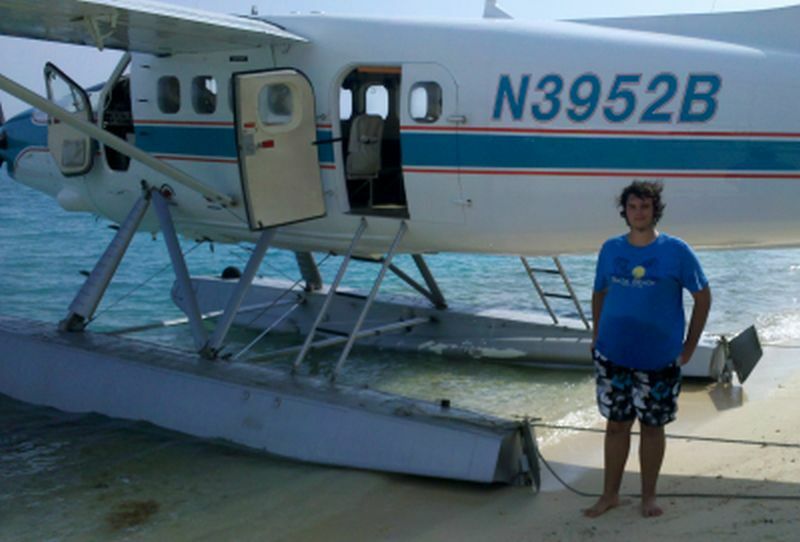 I had always wanted to fly in a seaplane and it was a great trip. 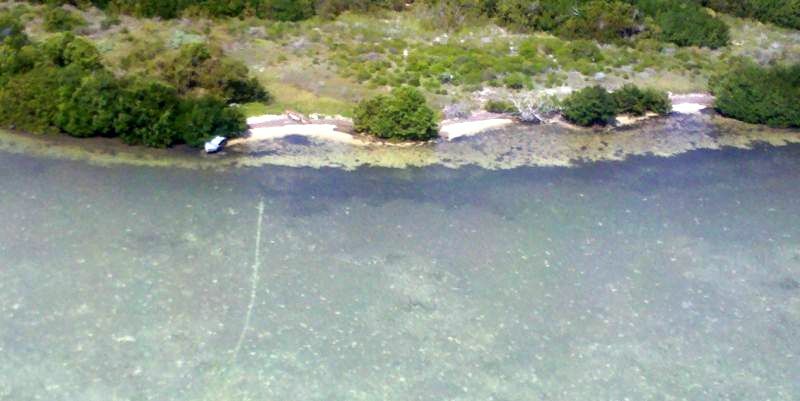 The old DeHavilland Otter (a legendary bush plane) flew low and slow and it was an amazing experience to look down into the very shallow water for mile after mile and see sharks, turtles and rays. Taking off and landing on water is hard to describe, except that everything happens very quickly as you break loose from the waves and just as quickly when you hit the water and it stops you fast. 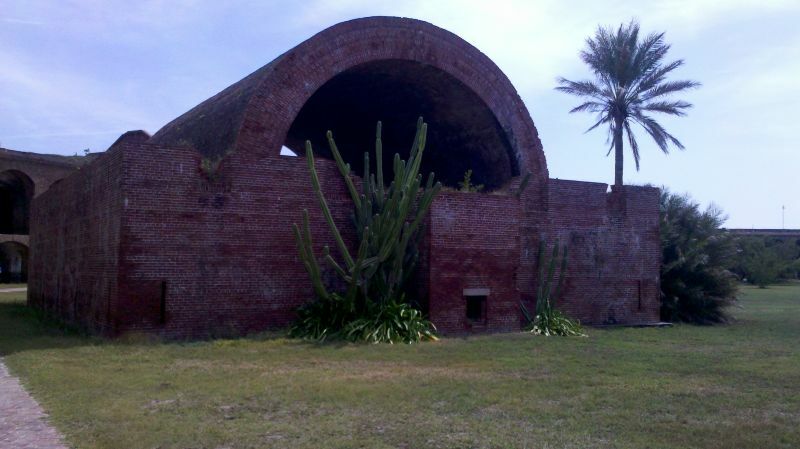 Fort Jefferson is an incredible place in just about the most remote, arid environment you can imagine. It was built of millions and millions of bricks by slaves, Irish immigrant laborers and Civil War prisoners. They worked on it for something like 70 years, but it was never really finished, since advances in military technology made each iteration of its engineering obsolete before it was completed. The fort’s most famous prisioner was Dr. Samuel Mudd, who treated John Wilkes Booth after the Lincoln assassination. Snorkeling around the fort’s moat and old piers was excellent and we were really tired by the time we got back to the boat. We leave Key West tomorrow to head back north, and will be hustling right along to get to some medical appointments and to visit friends in Vero Beach. 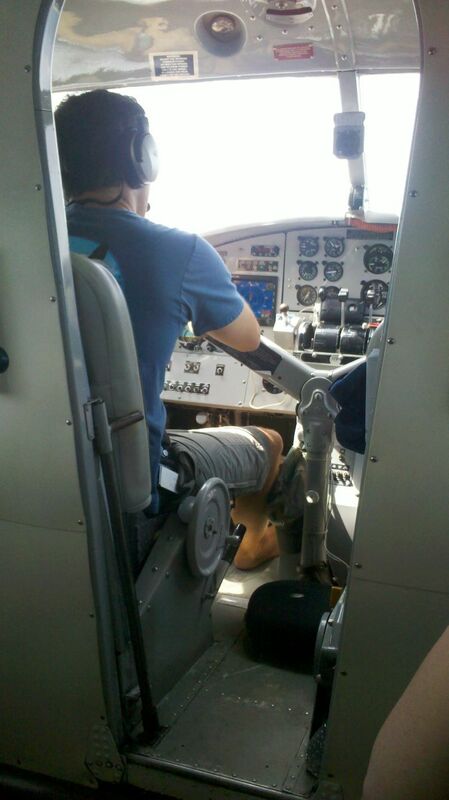 Shoes are optional equipment for seaplane flying. 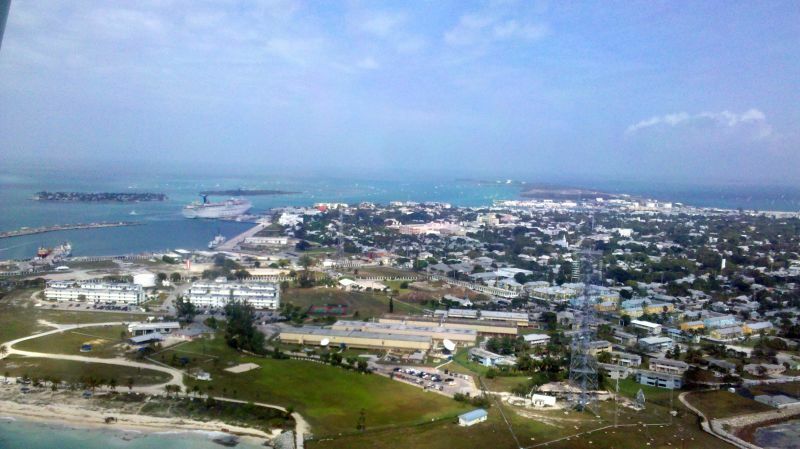 Old Town Key West just after taking off. 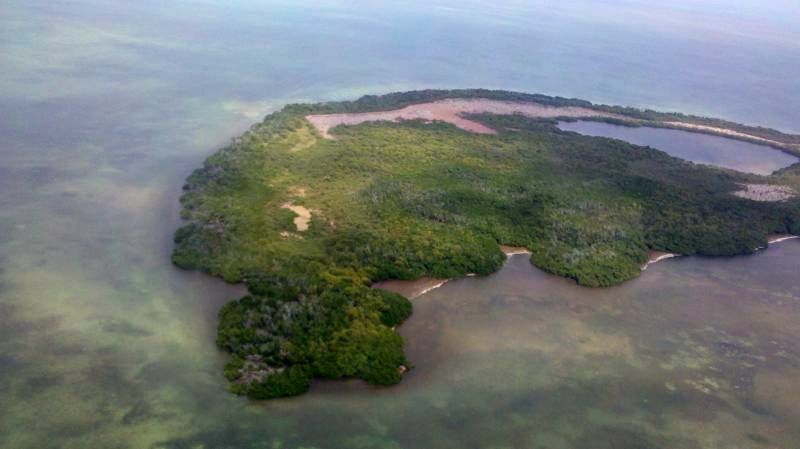 One of the Marquesas Keys, uninhabitated islands near Key West. Cuban refugee boats in the Marquesas that arrived last month. If they touch US soil before being intercepted they get to stay, so these guys made it. 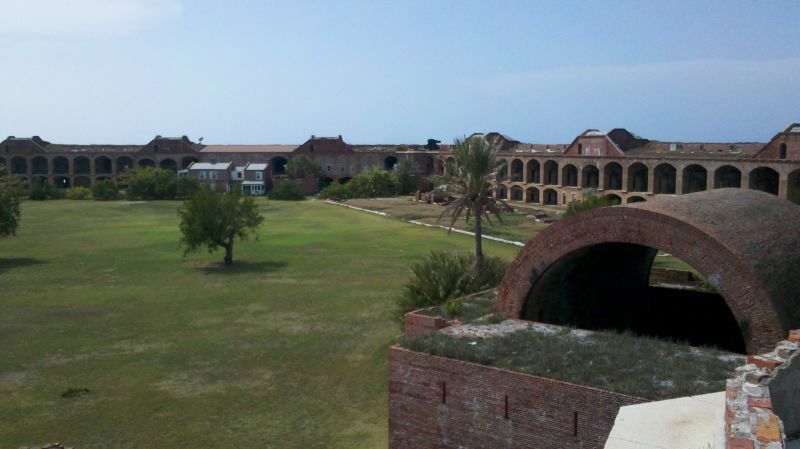 Parade ground shows Fort Jefferson’s huge scale. Magazine where they stored the gunpowder. 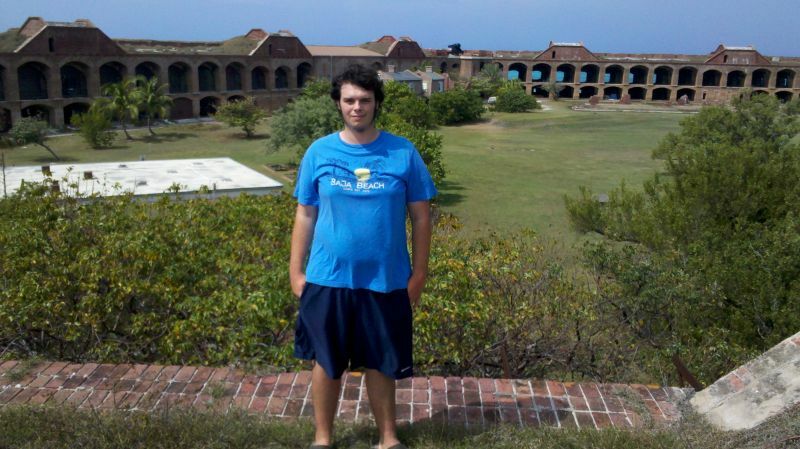 Yes, these are the DRY tortugas. 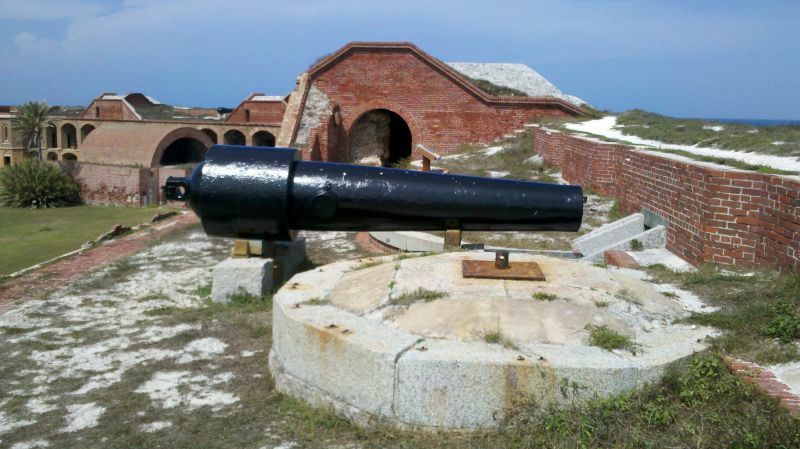 One of the hundreds of cannon at Fort Jefferson. Rifled pieces like this actually made the fort obsolete because our ships could guard the Florida Straights and enemy ships could pound a brick fort to pieces.